A delegation from Kuwait Society of Engineers participated in the annual universities ranking event held in New Delhi that was attended by Indian President Ram Nath Kovind. In a statement to KUNA, Kuwait Ambassador to India Jassim Al-Najim said a Kuwaiti delegation comprising Chairman of Kuwaiti Engineers Society Engineer Faisal Dweeh Al-Attal and Ali Abbas Muhsini took part in the annual ranking event of India's National Institutional Ranking Framework and the Atal Ranking of Institutions on Innovation Achievement being held in New Delhi. Indian President Kovind released the India Rankings - 2019 and presented the India Rankings awards to the top eight institutions and also released the Atal Ranking of Institutions on Innovation Achievements and presented awards to the top two institutions, the President's Secretariat said in a statement. Addressing the gathering, Kovind said: "This is only a beginning. It is critical that there be a significant Indian presence in global rankings of leading universities and higher educational institutions in the very near future." He underlined the importance of improving the quality of education at all the levels and "ranking system of such a nature fosters a spirit of healthy competition between institutions." "In our country, recent expansion in higher education has widened access and improved equity. Even so, quality remains a concern. While there are islands of excellence, both in the public and private sectors, overall standards are uneven," he added. On his part Engineer Faisal Al-Attal told Ambassador Al-Najim that his organisation is keen to deepen cooperation with Indian side adding his interaction with the officials from the External Affairs and the Ministry of Human Resource Development and ranking agencies touched upon a number of issues including topics related to accreditation of Indian engineers' certificates. On his part, the ambassador hailed the positive role played by Kuwaiti Engineers Society and expressed his good wishes for enhanced services. 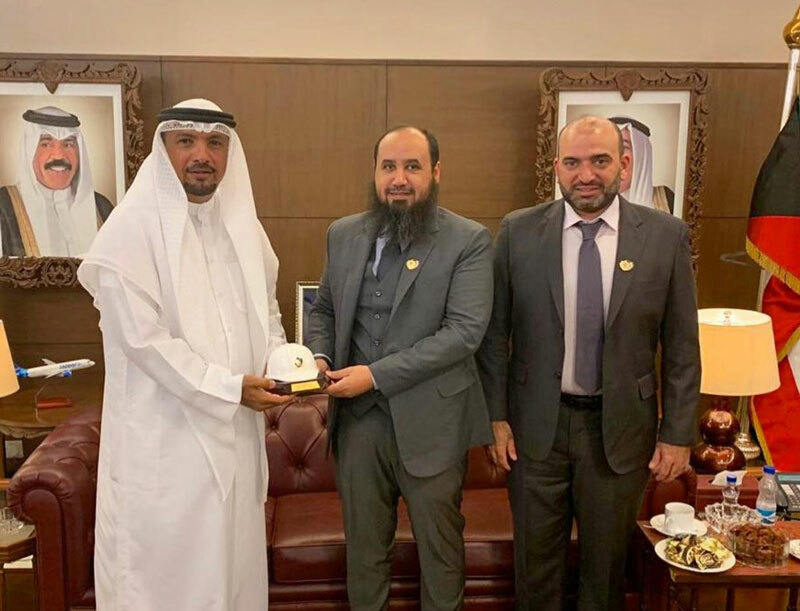 Engineer Faisal Dweeh Al-Attal presented mementos to the Ambassador and the diplomats for their services in cementing the organisation's relations with the Indian side beneficial for the people of both the friendly nations. A delegation from the Indian Ministry of External Affairs had held talks with the Kuwait Society of Engineers in early March this year during their visit to Kuwait. @Suresh Kumar : Jai ho bhai ! Jai ho Modi ki. There is no doubt about the good intention of KSE to ensure Engineers from reputed Institutions only getting accreditation. At the same time if that alone is the criteria to determine an engineer is qualified enough to get accredited is doubtful. There can be many people who studied in other institutions but have intelligence and enough experience to beat an engineer from so called reputed colleges. Currently the criteria being followed by KSE to give accreditation is not fair and reasonable. If KSE wanted to make that criteria permanent they have the right to enforce it for the new recruitment, not to the people already recruited and working. The issue of forgery and issue of quality degree are different. Here due to some reason these issues are often referred as same issue, which is unfortunate. "On his part, the ambassador hailed the positive role played by Kuwaiti Engineers Society to devalue the Engineering education and degrees of thousands of Indian engineers and force them to change their designations"